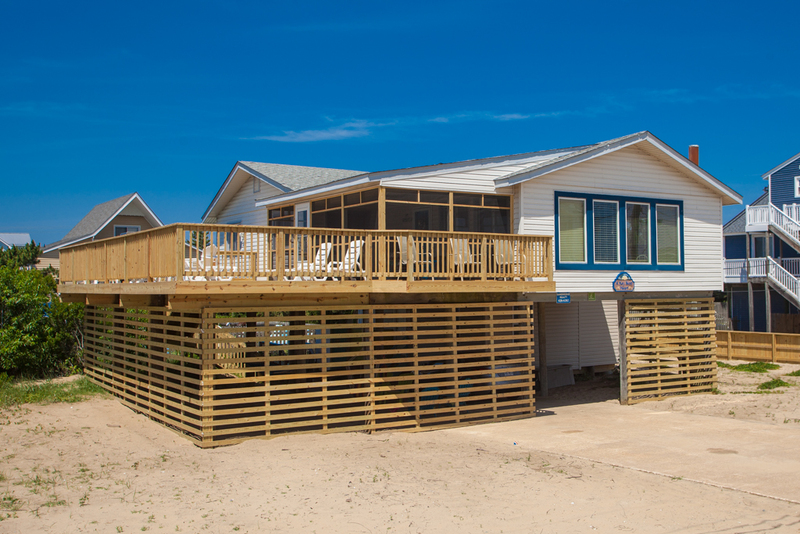 NEW EXPANDED SOUTH FACING DECK IS NOW COMPLETED JUST IN TIME FOR YOUR SUMMER VACATION! 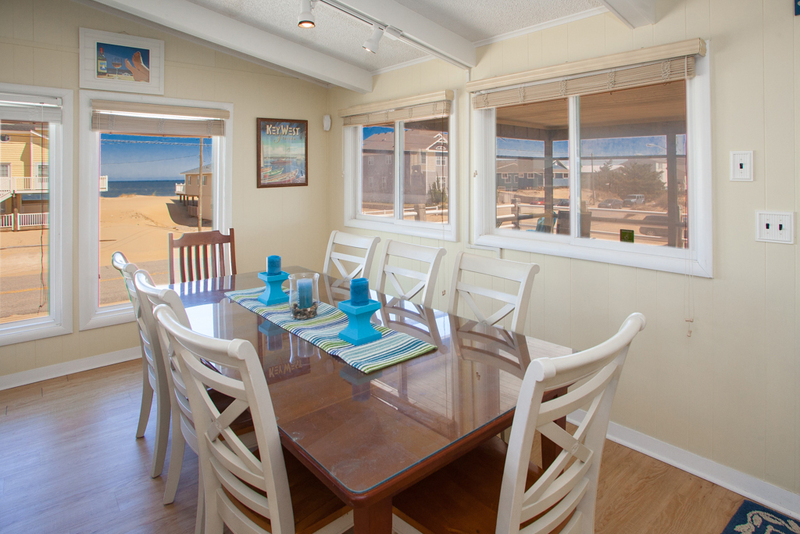 New motivated owners have transformed this charming coastal gem into something special! 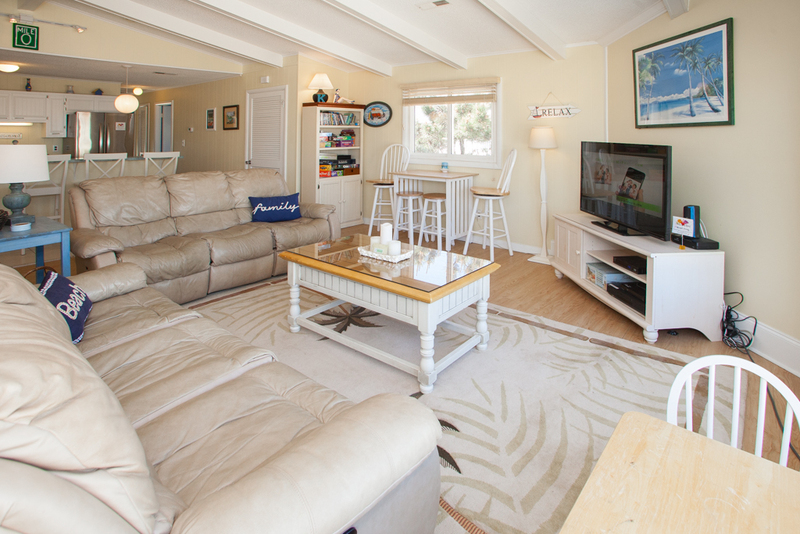 Remodeled kitchen with stainless steel appliances, upgraded cabinetry in the bathrooms, newly decorated screened porch, shady enclosed area great for kids to play in the sand and out of the sun, just to name a few! Also new in 2018 is an additional bedroom and full bathroom, plus a gaming area with foosball and shuffleboard! 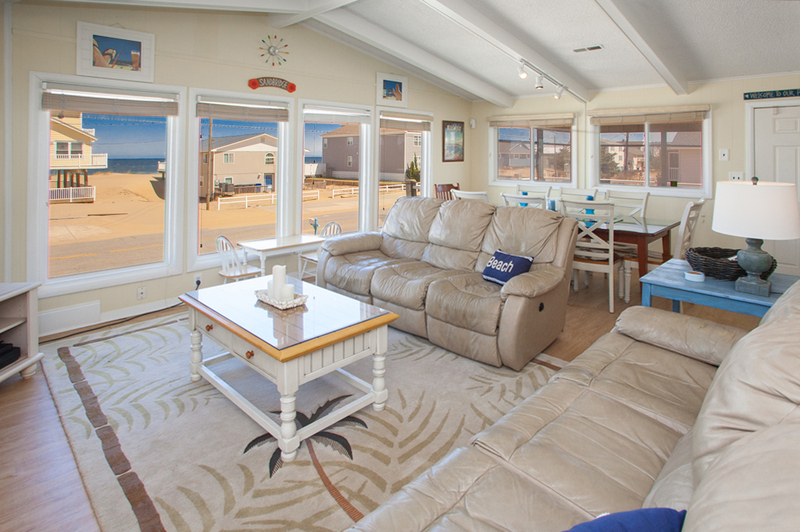 This charming semi-oceanfront beach house is a truly a breath of fresh air. 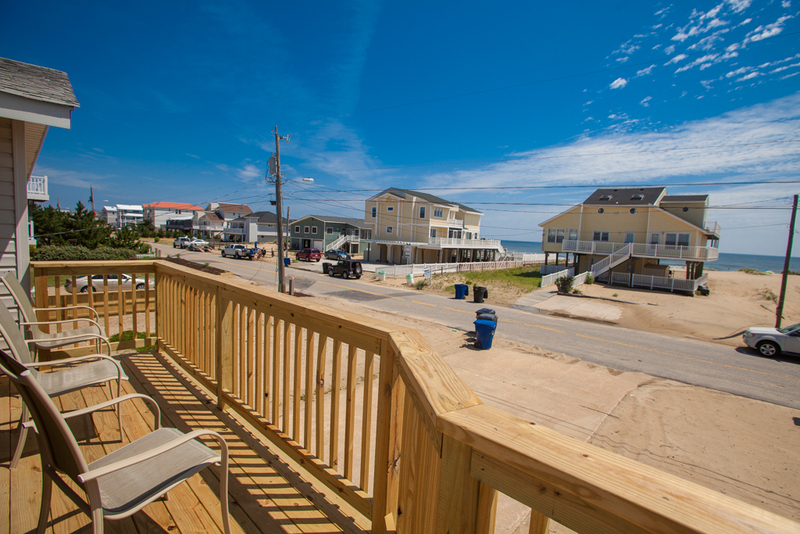 Walk directly across the street to the beach access or enjoy terrific ocean sounds and views right from the deck or screened in porch. 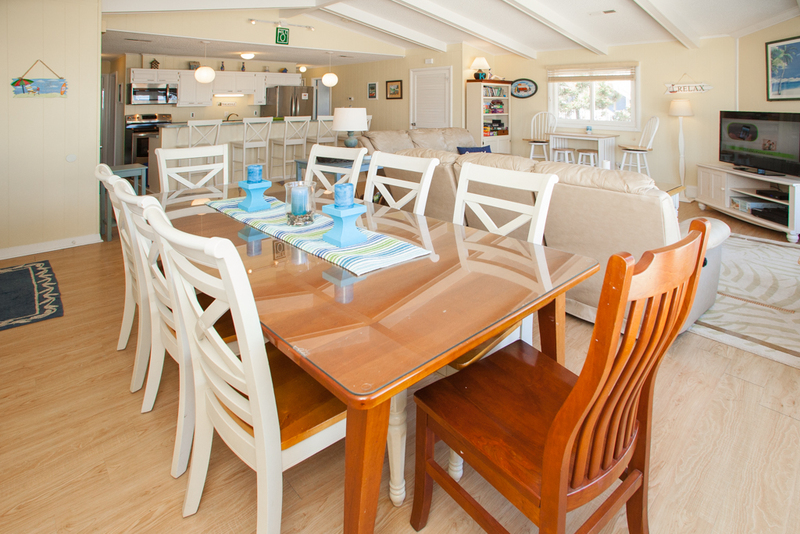 The bright and inviting Key West island style decor will quickly make this home your favorite choice! Family-friendly layout makes this home perfect for two or three families to share! 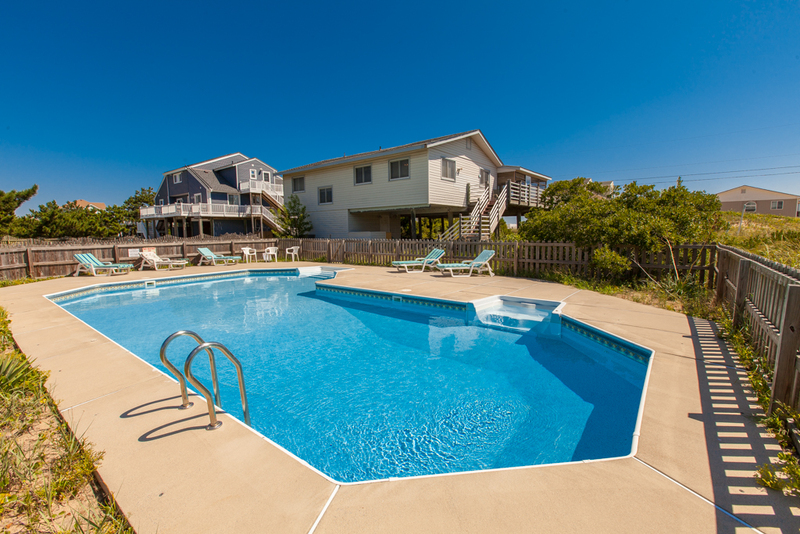 Relax at the enormous in-ground pool, on the newly expanded deck, comfy screened porch, or enjoy the huge shaded area under the house. 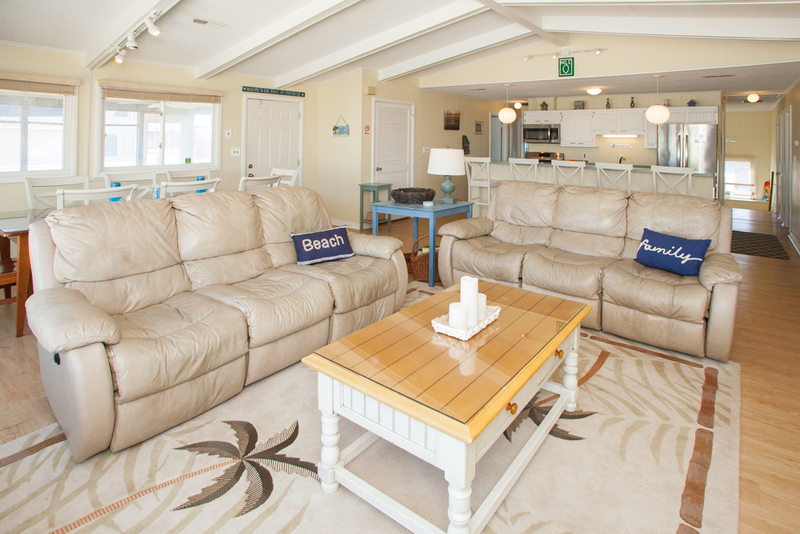 When you've had your fill of the sun, this space will give you cooling shade to relax in the hammock or to just simply enjoy the cool ocean breeze.